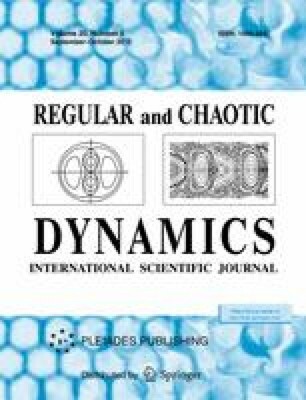 In this paper, we present some results on chaotic dynamics in the Suslov problem which describe the motion of a heavy rigid body with a fixed point, subject to a nonholonomic constraint, which is expressed by the condition that the projection of angular velocity onto the body-fixed axis is equal to zero. Depending on the system parameters, we find cases of regular (in particular, integrable) behavior and detect various attracting sets (including strange attractors) that are typical of dissipative systems. We construct a chart of regimes with regions characterizing chaotic and regular regimes depending on the degree of conservativeness. We examine in detail the effect of reversal, which was observed previously in the motion of rattlebacks.